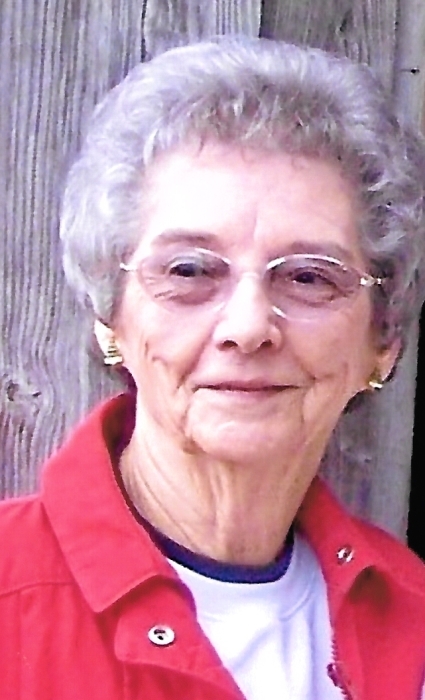 Mary Bernice Pridgen DeVane Moore, 90, of Currie passed gently from her earthly life on Tuesday, March 19, 2019 at New Hanover Regional Medical Center. She was born May 15, 1928, one of 12 children born to Archie Roger and Mary Katherine Pridgen. She was also preceded in death by her husband, Hybert DeVane and husband, Oliver Moore; and siblings, Ann Guyton, Faye Woodcock, Archie, Paul, Jerry, and Donald Pridgen. Bernice is survived by her siblings, Harold Pridgen (Menzette), Harvey Pridgen, Bradford Pridgen, Alton Pridgen, and Kenneth Pridgen; step-son, Rocky Moore; step-granddaughter, Tracy Norris; many nieces, nephews and friends. She was a faithful member of Moores Creek Baptist Church where among her beloved church family she participated in many church activities. For 20 years Bernice worked at Block’s Shirt Factory. What a joy it is to have known Bernice Moore—Her wisdom, thoughtfulness, words of encouragement, great devotion to her family, loyalty to friends, radiant smile and joyful spirit all of which were an inspiration to everyone she met. What an honor and blessing it is that the loving Christian Bernice has lived among us. The family will receive friends 2:00 p.m. on Saturday, March 23, 2019 at Moores Creek Baptist Church with funeral service beginning at 3:00 p.m. in the church sanctuary. The Rev. Roger Barnes will conduct the service. Burial will follow in Bethlehem Baptist Church Cemetery. To Bernice’s many friends Harold, Menzette, Harvey, Bradford, Alton and Kenneth would like to thank you for every kindness shown…prayers, visits, cards, and genuine expressions of concern. We thank God, our Heavenly Father, for the gift of friends and pray His eternal blessings to all.